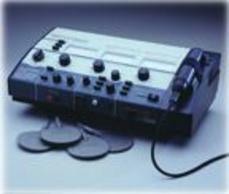 Portable Short Wave Unit Amrex's first unit. Engineering improvements make possible new short wave applications. Wave Generator 901A New electronic developments increase the penetrative properties of Galvanic and Sinusoidal currents. 1 million cycles per second. for the chiropractors and PT's. SynchroSonic US200 Amrex presents the industry with a Combination Ultrasound and Low Volt AC Stimulator. 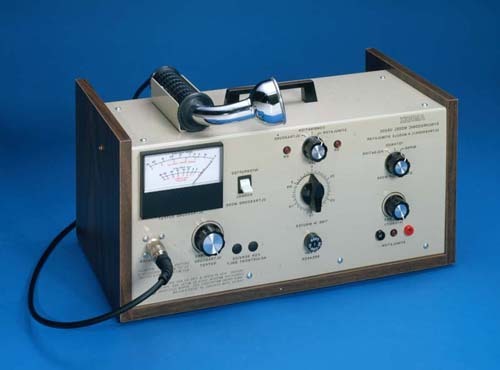 Quickly becomes one of the most popular electrotherapy units of the 1970's. 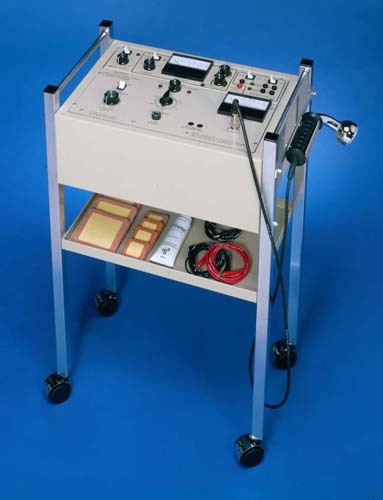 Amrex announces the console unit which combines Ultrasound and High Volt Stimulation on a convenient mobile cart. 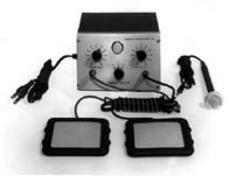 Combines three of the most widely used modalities in one unit; Ultrasound, High Voltage Stimulation and Low Voltage Galvanic Stimulation.